HOFA today released a new version of their IQ-Comp plug-in with lots of fixes, improvements and new features. All HOFA Plugins work with Windows 7/8, Vista and WinXP, as well as Intel-Mac from OS X 10.5. Audio Unit, VST, VST3, RTAS and AAX. If you purchased IQ-Comp after 1 January 2013 the upgrade is free. 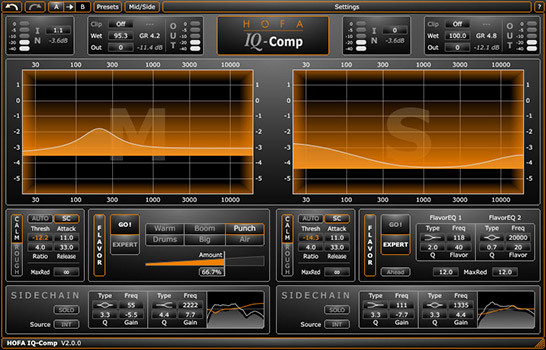 All other IQ-Comp users get the update for only €29,90 in the HOFA-Plugins STORE.